I wish I was a coffee drinker. I love coffee cake. I love the smell of coffee beans. I love the way a coffee-making apparatus looks on the kitchen counter. I love the mystique surrounding it. I believe that coffee is one of the greatest social accessories available to humanity. It is cheap, ubiquitous and provides a universal conversation piece. It has been utilized in religious ceremonies and banned for political strategy. Despite all of this, I cannot get past the fact that it tastes like rainwater from a rusty steel can that someone used to soak their bunions. I have been informed again and again that “it is an acquired taste” but life is too short to try and convince my taste buds that they need a second opinion. I never had to convince myself that BBQ ribs or ice cream was delicious. I did not have to force-feed myself bacon for years before I could appreciate its culinary power so why should I keep ingesting caffeinated brown water until my senses relent? At any rate, one does not have to be a coffee drinker to appreciate the benefits of being a coffee drinker. 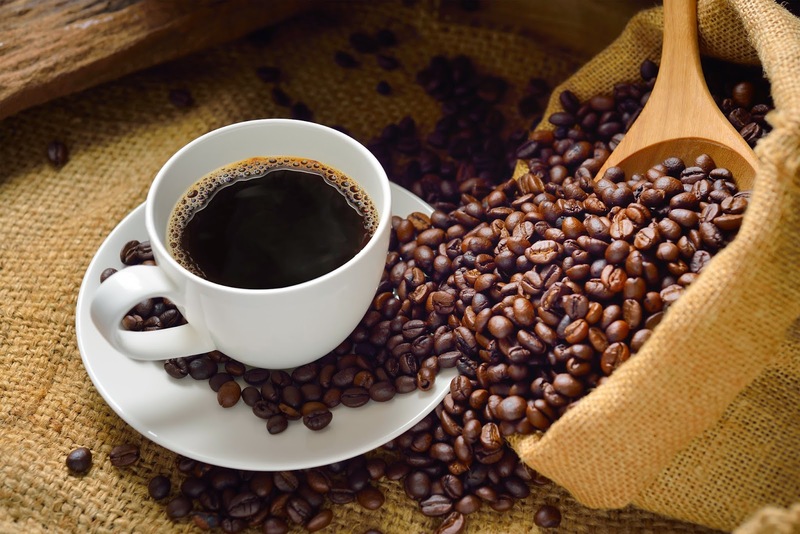 Coffee Drinkers Appear Contemplative – When you see someone gazing toward the horizon with a cup of coffee in their hand we tend to assume that they are agonizing over life-altering decisions or the profundities of human existence. We even feel guilty for approaching someone during these moments as if we have intruded upon a private ceremony. The slow and purposeful movements of the coffee drinker do seem almost ritualistic; their faces constantly enwreathed by steam. Of course, this is all a facade created by the beverage. They simply needed to pass some gas and the window was far enough away from their cubicle to provide plausible deniability were it to linger. The truth is that coffee drinkers ponder the same things that water enthusiasts or pork-rind connoisseurs do, they just look better while they do it. Sipping Coffee Buys You Time – We have all been there. You are at a family reunion or social event and find yourself running out of discussion topics. Maybe this is the first time you have seen your nephew since his stint in rehab or one of your wife’s co-workers just announced that her husband was sleeping with their dog-sitter. Do you comment on the weather? Stare at your shoes? You need to think of an out or fake an emergency but nothing comes to mind. Coffee drinkers never have to panic in these situations because not only can they simply cover their face with their cup, they can leave it there for a full 2 minutes before anyone suspects a thing. That is because coffee is meant to be consumed slowly. It is hot and could melt your face. People expect your sips to be long drawn-out affairs. Try and sell that with a bottle of Dasani. You can only fake-drink so long before people notice that the amount of water isn’t being significantly reduced and they realize that you are stalling. Coffee Provides An Excuse for Morning Hostility – You can get away with almost anything as long as you make it understood that have not yet consumed your morning cup of joe. Sorry I called your mother an alcoholic financial leech honey, but I hadn’t had my coffee yet. I shouldn’t have thrown a dead bird at those nuns officer, but we were out of Folgers at the house. It Is An Unassailable Excuse to Eat Pie – No one will ever judge you for eating a large slice of pie as long as you have a cup of coffee in your hand. While the rest of us will be indirectly accused of gluttony (I am stuffed. I don’t know how you have room for that!) no one is going to disparage you cramming an Edwards in your face as long as you have some coffee. Coffee Allows You to Create an Identity – If I see a grizzled man with a beard ask for black coffee with no frills, I naturally assume they are a no-nonsense, salt-of-the-earth laborer who could probably tell you more than one story that involves a bar fight. That’s the implication is when someone says “I’m a black coffee man.” You expect a low-maintenance self-reliant personality. I would be taken aback to see someone fitting that description order organic hazelnut French-roast because it suggests a love of poetry and at least one delightful summer spent studying abroad.